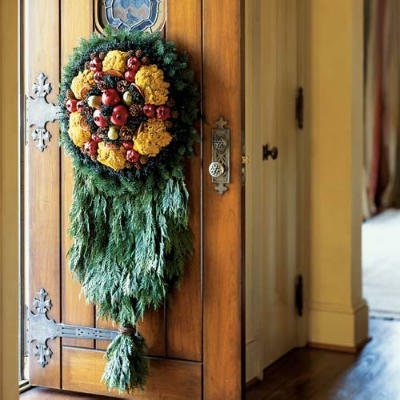 For most of us, the thought of entertaining can turn us into a tail spin, but the thought of holiday decorating and entertaining plummets us into a nose dive! Thanks in part to the perfection known as Martha Stewart (alien) we have become conditioned to fear its stressful organization, forgetting entirely that the purpose for gatherings and holidays is to have fun and enjoy the festivities. My most cherished memories of friends and family are from the holidays. It is a time of family unity, love, laughter, and most importantly food and decorating! A family tradition for most, decorating should be pleasant rather than a disconcerting endurance course for the 2012 Olympics. As a busy professional myself I have little time to stress over planning and organization. 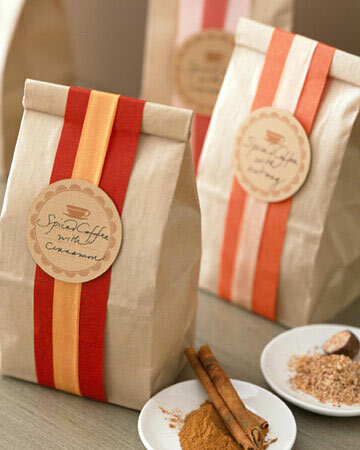 I crave simplicity and demand that the festivities be effortless so I can enjoy my guests. The biggest trend for this fall/winter season is getting back to basics. Carried over from last year, it is all about blending old with new, getting away from mass produced products, and focusing on homemade. To help make your holidays effortless be sure to have a few staples on hand and keep things in close proximity that will be getting used over and over for the next few months. An excellent article by The Savvy Host back in September is an excellent post for entertaining basics. The art of effortless decorating is in the planning stages. Plan ahead. And I don’t mean Martha Stewart planning. I’m talking Amanda Planning. For those of you who don’t know, this is a legitimate quick list on a posty note (that is sure to get lost, buried in the abyss of your purse, or stuck to your pant leg) but will eventually get you going in the right direction! A quick list is simply filing through your memory and thinking of items you have, may not have and trying to make do with as much as possible. 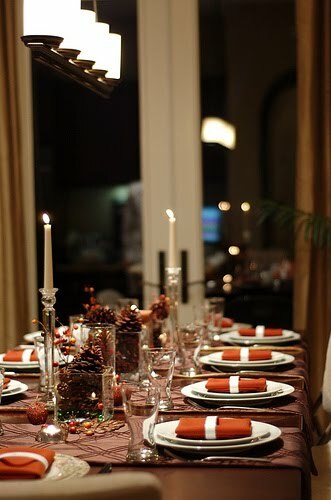 With the basics taken care of it will be easy to throw together a festive table. Hurricanes can be easily filled with cranberries, sugar cubes can be glued to make quick organic votives,oranges can be peeled for drinks and decorated with cloves. Holiday candies can be made into quick topiaries, and voila the table and buffet come together seamlessly. 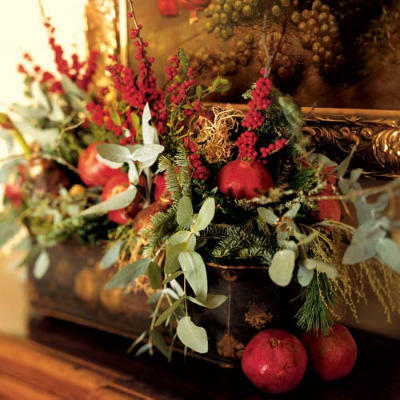 vases, or urns (like the photo below) to plant various herbs that not only look festive but can be used for cooking delicious holiday meals! And the best part is this works for Thanksgiving, right into the New Year. 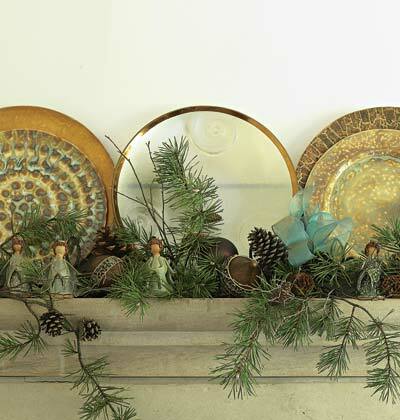 Below is another example of combining platters you already own with holiday decor. If you live in a small space this is an excellent way to keep your platters accessible for quick retrieval. Use eucalyptus or chinese holly through Thanksgiving, and add some pinecones, bows, handmade sugar cube votives etc to bring you into Christmas and Hanukkah. 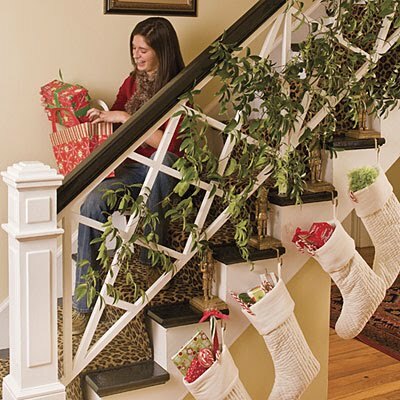 3) Stair bannister: Keep it SIMPLE! Use easy to find items like cranberries, popcorn, (remember the stocked pantry items we mentioned above) chinese holly, eucalyptus, pine-cones and baby’s breath to decorate with ease. Don’t go overboard. A simple swag with a few adornments from around the house like: family photos, stockings, or kids drawings, will make it personal. 4) Christmas tree: In my opinion (and it’s the one that counts) the fewer the ornaments the better the tree looks. Don’t get crazy. This is where having a plan will come in handy. 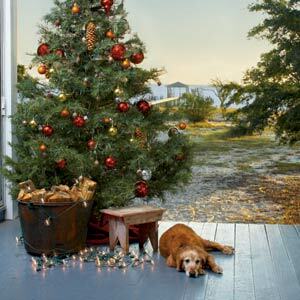 Christmas trees are the show piece of holiday decorating so let it shine. Whether it hints to a hobby, a traditional motif or has one unified color, a tree with a theme gives it individual personality. Make the decorating an event. Have family over, get the kids together, prepare some snacks and make a party of it. Start with your lights. Once each branch is illuminated fill the tree with a few choice ornaments, a little ribbon, some handmade pieces from the kids and call it good. Lily Lemon Tree Cracking the Code: The Blissful Guide to Dress Codes for Holiday Parties and otherwise…. Plenty more tips to come! And if you have any suggestions on decorating woes in your life be sure to email me and we will discuss solutions here on this blog! I agree with Jude, you have the best approach to life…just loved your suggestions………and this new site is to die for, will be cruising around getting inspirations from you all morning now. Thanks for these great tips. I love Martha Stewart. Wonderful ideas. I love those pictures. Decorating my home for the holidays is one of my favorite things to do. So many possibilities! Great advice! Yes, I think we all feel the bar was set so high by Martha. However, now instead of trying to jump it smart (and worn out) people are learning that it’s ok to go under it! Any gal that underlines vodka is a friend of mine! Thank you so much for sharing these wonderful ideas! I can’t wait to start decorating for Christmas! 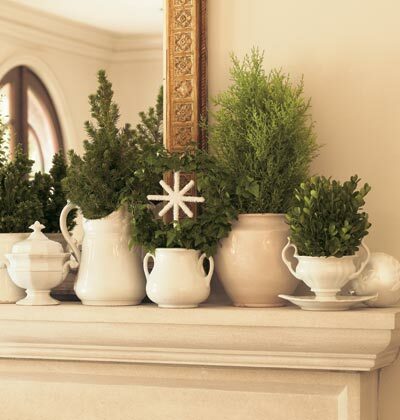 Love the tips – can’t wait for Christmas decorating…this got me excited!! what a beautiful eye you have for tasteful and elegant accents for the holidays! Such a pleasure to get to know you!